Pollutants and pathogens are typically considered as separate causes of illness. However, recent research indicates that the two can interact, changing how people and animals respond to infectious diseases. According to an article in Chemical & Engineering News (C&EN), the weekly newsmagazine of the American Chemical Society, environmental pollutants appear to weaken the immune system, reduce vaccine efficacy and increase pathogen virulence. Compounds called per- and polyfluoroalkyl substances (PFAS) are widely used in household products, such as food packaging, nonstick products and cleaners. Researchers have linked elevated concentrations of some PFAS in mothers’ blood to reduced responses to vaccinations and more illnesses in their children. Similarly, arsenic exposure in the womb has been associated with decreased levels of antibodies against diphtheria in vaccinated Bangladeshi children. Evidence also suggests that some chemicals, such as zinc or lead, may contribute to the rise of multidrug-resistant strains of methicillin-resistant Staphylococcus aureus (known as MRSA). Such interactions are complex and will require more interdisciplinary research in environmental health and infectious disease, according to Erickson. Chemicals are used in manufacturing to make everything from food containers to your favorite pair of shoes. One such chemical is styrene, a colorless, strong-smelling liquid used to make plastics and rubber for these products and others, including insulation, fiberglass, pipes, vehicle parts, and carpet backing. 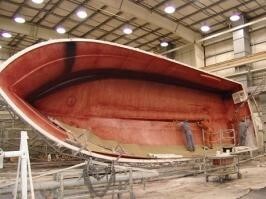 During the fiberglass boat manufacturing process, styrene vapors can be released to the air. When workers breathe in this contaminated air, styrene exposure can occur. 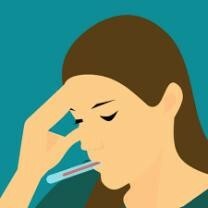 The known health effects of styrene exposure include changes in color vision, tiredness, dizziness, delayed reactions, and difficulty with concentration and balance. Less well known is whether styrene increases the risk of cancer, although it is “reasonably anticipated to be a human carcinogen,” according to the National Toxicology Program. To further explore the relationship between work-related styrene exposure and cancer, NIOSH investigators compared styrene exposures to cancer deaths among 5,201 former workers in two boat-building facilities in Washington State. The facilities have since closed but, when operational, manufactured boats using styrene-containing materials. The investigators looked at all workers who had worked in one of the facilities for at least one day between January 1, 1959, and September 31, 1978. A previous NIOSH study focused on this group of workers, but the current study extended the follow-up by five years, and included data on 418 additional deaths. Using publicly available information from the National Death Index, NIOSH investigators calculated death rates from cancers of the blood and lymphatic system, such as leukemia and lymphoma, and lung cancer among the workers. They then compared the cancer-related death rate among the workers to the rate found among the general population in Washington State. Additionally, the investigators used information from personnel records to estimate styrene exposure by length of employment and job type, and calculated the risk of cancer death related to this exposure. The investigators focused on two types of cancers, leukemia and lung cancer. Researchers found the death rate from leukemia among these workers was comparable to the rate in the general population, according to the study published in the American Journal of Industrial MedicineExternal. However, workers in the boat-building facilities with longer tenure with more exposure to styrene did show a greater risk of leukemia when compared to shorter-term workers. On the other hand, the risk of dying from lung cancer did not appear to be associated with styrene exposure while working in the boat-building facilities. Although this study suggests an association between styrene exposure and cancer, other studies of similar workers have been inconsistent. More research is needed to fully understand the relationship between work-related styrene exposure and cancer risk. NIOSH investigations have shown that sufficient levels of work-related exposure to certain chemical vapors in flavorings can cause severe, irreversible lung disease. These chemicals, diacetyl and its closely related substitute 2,3-pentanedione, can be added to flavorings like the butter in microwave popcorn. The disease, technically called obliterative bronchiolitis, is sometimes called “popcorn lung” because scientists originally described it in workers who manufactured microwave popcorn. A recent NIOSH study tested various coffee flavoring samples for these chemicals and compared the findings to ingredients on safety data sheets required by OSHA. Study lead author, Ryan LeBouf, NIOSH research industrial hygienist, explains the study published in the Annals of Work Exposure and Health. Chemicals considered proprietary, or trade secret, also can be omitted, as can chemicals comprising less than 1% of a mixture. Or, authors of safety data sheets might not list diacetyl and 2,3-pentanedione if they don’t recognize them as potentially hazardous. NIOSH investigators took samples of 26 liquid flavorings from two coffee roasting and packaging facilities. The flavorings included hazelnut, French vanilla, amaretto, chocolate, and caramel, and fruit-flavored mixtures such as cherry and raspberry. They tested the samples for 20 volatile organic compounds, including diacetyl and 2,3-pentanendione, using a highly-specific laboratory test called gas chromatography-mass spectrometry, which detects even minute amounts of various substances in a mixture. They compared their chemical measurements to the ingredient list on the safety data sheets provided by the flavoring manufacturers. None of the safety data sheets listed diacetyl or 2,3-pentanedione, yet NIOSH measurements found these chemicals in nearly all of the flavorings: 81% contained diacetyl and 58% contained 2,3-pentanedione. The amount varied, with caramel flavoring having the most diacetyl, and oatmeal cookie flavoring having the most 2,3-pentanedione. Each safety data sheet stated their ingredients contained trade secrets. OSHA has proposed penalties of $1,326,367 to Dowa THT America Inc. – a metal heat treatment company based in Bowling Green, Ohio – after the company exposed employees to atmospheric, thermal, electrical, and mechanical hazards as they performed maintenance inside heat-treating furnaces. In addition to the penalties, OSHA placed the company in the Severe Violator Enforcement Program. 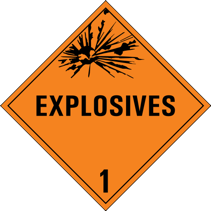 OSHA has cited ammunition manufacturer AMTEC Less Lethal Systems Inc. for exposing employees to explosive hazards after an explosion fatally injured two workers at the company’s Perry, Florida, facility. 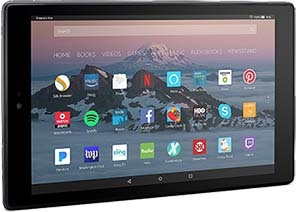 The company faces $188,290 in penalties for multiple serious violations, and a willful violation that carries the maximum penalty allowed. OSHA cited AMTEC Less Lethal Systems Inc. – which operates as PACEM Solutions International LLC – for failing to develop and implement management of change procedures when they increased the maximum explosive limits of pyrotechnic flash powder in or near the blast booths from 200 grams to 500 grams. OSHA also cited the company for failing to maintain the engineer’s specifications for the blowout panels installed on the blast booths; using blast booths that did not comply with good engineering practices; and failing to train employees on the operating procedures for work in the diversion section production room. Cal/OSHA has cited West Coast Land and Development, Inc. for serious safety violations after a worker was fatally crushed at a San Rafael construction site on September 18, 2018. Investigators determined that the company did not follow regulations when it stacked plywood vertically without securing it. The accident occurred when two employees of the Concord company were framing and installing a shear wall on the third floor of a house under construction. One worker went to get a sheet of plywood from a stack of 26 panels stacked vertically and leaning against a wall. A foreman found the worker’s body 20 minutes later with the stack of plywood on top of him. 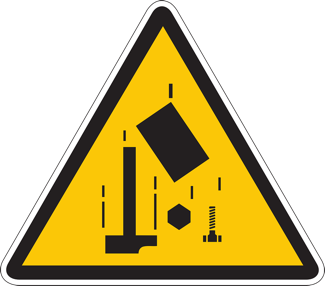 A serious violation is cited when there is a realistic possibility that death or serious harm could result from the actual hazardous condition. Violations are classified as accident- related when the injury, illness or fatality is caused by the violation. Cal/OSHA offers extensive information and resources on working safely in the construction industry, including hazard identification, hazard correction, and establishing and implementing an effective Injury and Illness Prevention Program. All employers in California are required to have an effective written injury and illness prevention program, a safety program to identify, assess and control hazards in the workplace. Cal/OSHA has online tools and publications to guide employers on how to establish an effective safety program. Cal/OSHA’s resources on fall protection include safety and health factsheets, residential fall protection training and a construction safety pocket guide. Honda has received 19 reports of fuel leaking from the fuel valve. 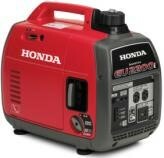 The generators were sold at authorized Honda Power Equipment Dealers and The Home Depot and other home improvement stores nationwide and online from February 2018 through February 2019 for about $1,100 to $1,300. No injuries have been reported. If you have one of these generators, you should immediately stop using it and contact a local authorized Honda Power Equipment service dealer to schedule a free repair. Honda is contacting all known purchasers directly. When Is Titanium Dioxide a Carcinogen?